Thoughts: I can't say that I love this quilt. I've done better improve. I do like the floating blocks, though and need to play with this concept. I enjoyed the FMQ. 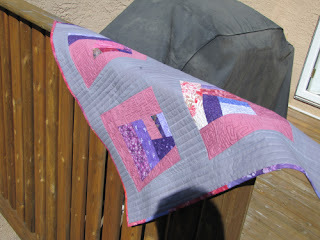 I also played with straight line quilting with a walking foot. Lessons Learned: It's okay to not be thrilled with the outcome if you learned something along the way.